President of Ukraine Petro Poroshenko in a telephone conversation with President of the Russian Federation Vladimir Putin discussed the prospect of the introduction of the UN peacekeeping mission to the Donbas, as well as the process of releasing the hostages. On Thursday the head of state said, that Ukraine does not intend to stop the process of liberating its citizens from Russia. “There's no way we can stop releasing our hostages, which is actively promoted by both Mrs. Iryna Gerashchenko and my entire team. 74 hostages were returned on the eve of the New Year, and I discussed specific details, specific names, specific lists, of those who we must return from the occupied territories, and those we should bring back from Russia. 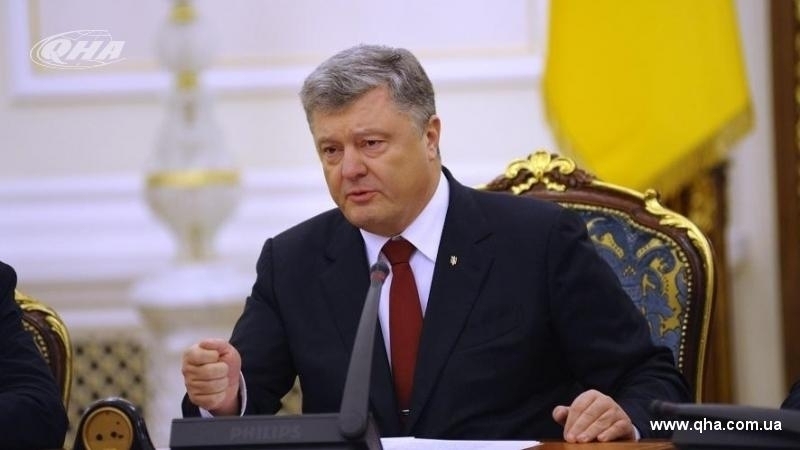 And I cannot and will not tell the names right now, because this will prevent the return process," Poroshenko stated. With regard to the introduction of peacekeepers to the Donbas, president of Ukraine said "we need peacekeepers as air." "First, my proposal was not accepted by anybody, but today, after three years of painstaking work, the absolute majority of the countries of the United Nations Security Council, plus those who support Ukraine, firmly insist on the absolute necessity of the UN peacekeeping mission," he said. The day before, Ukrainian politician Viktor Medvedchuk reported that Kyiv is negotiating with Moscow on the exchange and the return of the Ukrainian prisoners of the Kremlin to their homeland. Earlier, Valentin Rybin the lawyer of the convicted former servicemen of the Ukrainian Armed Forces Oleksandr Baranov and Maksim Odintsov said that soon they can be exchanged for Ukrainian prisoners of the Kremlin. In turn, Darka Olifer, the spokesperson for the representative of Ukraine in the Tripartite Contact Group of Leonid Kuchma, said that Ukraine is waiting for the second wave of the release of hostages held in Russia.